Head and shoulders portrait, within a painted oval, body turned to the left, head half-turned to face the viewer. Aston is shown with wig with long brown hair, wearing a red coat with white neck-cloth. Francis Aston was elected a Fellow of the Royal Society in 1678. 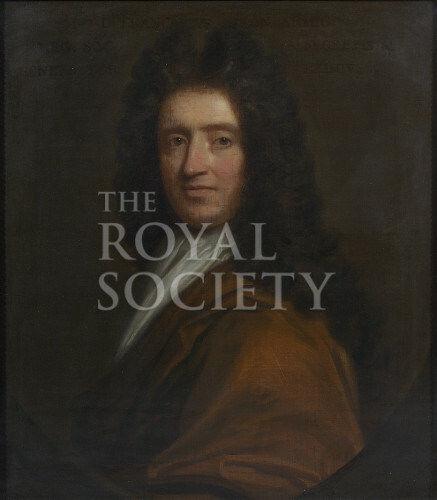 He served as Secretary of the Royal Society from 1681-1685.